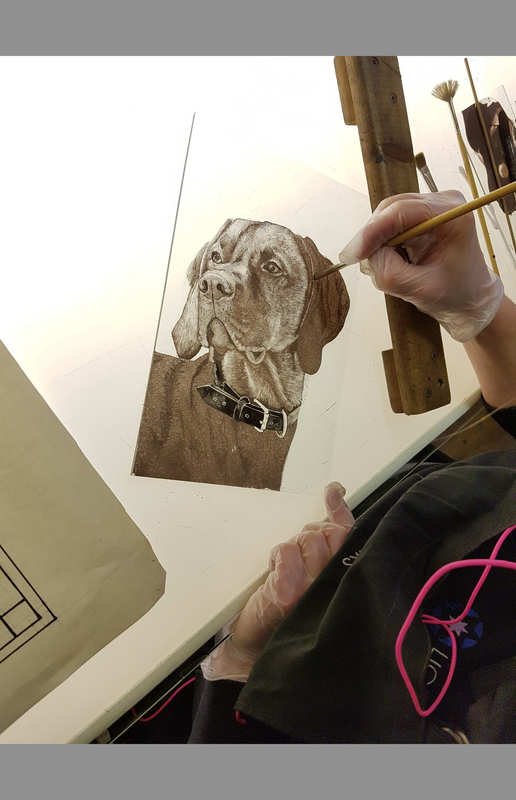 This is a recently completed commission for a private client; a hand painted and kiln fired panel of glass featuring the portrait of a beautiful Hungarian Vizsla. 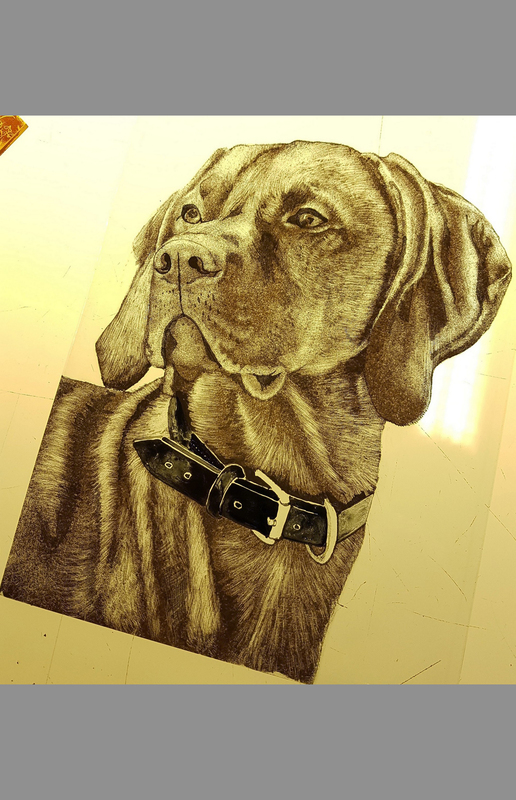 The piece was ordered as a birthday gift for the dogs owners by friends. 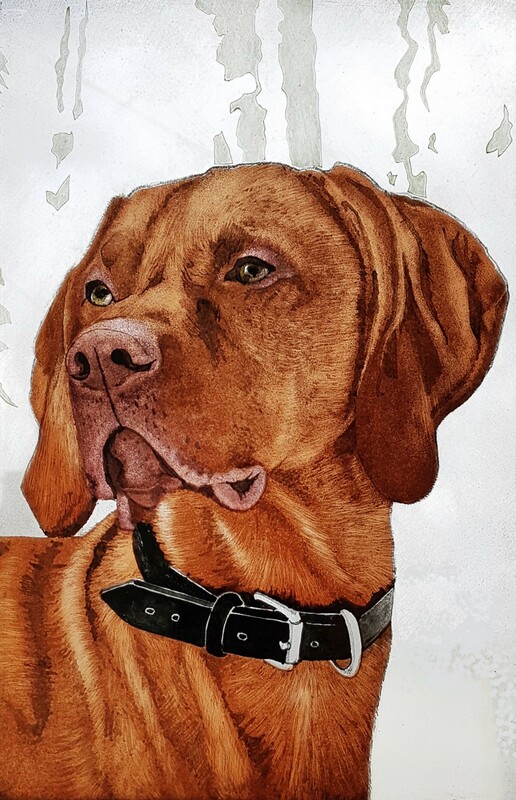 “Just received this lovely gift from our two friends Mark & Francesca; a hand painted illustration of Sandor on glass. 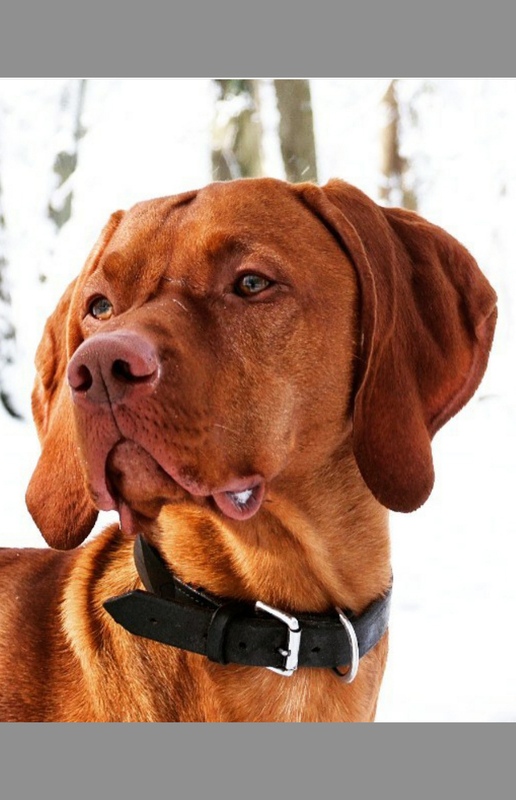 Thank you so much – put a tear in my eye”. 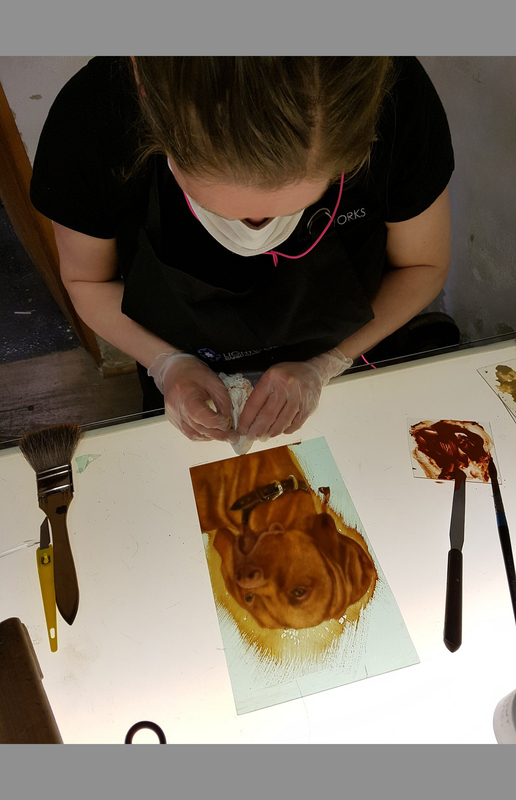 Our images show various stages of the production process, including the painting of trace lines, shading layers and enamels and finally the original source image.